I was having lunch and decided to look up. I have not seen sign boards like this for a long time. Look at the two things that's holding the signboard up. It must be so antique! 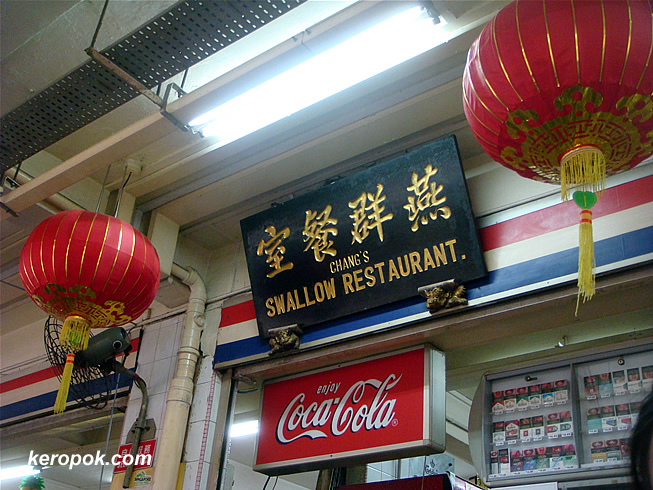 No, this place does not sell anything with swallow. Anyone know the history? Obviously their food is so delicious that many swallow it.